From overseas calls and lunchtime meetings to neighborhood block parties, being a salesperson means having a lot to juggle. 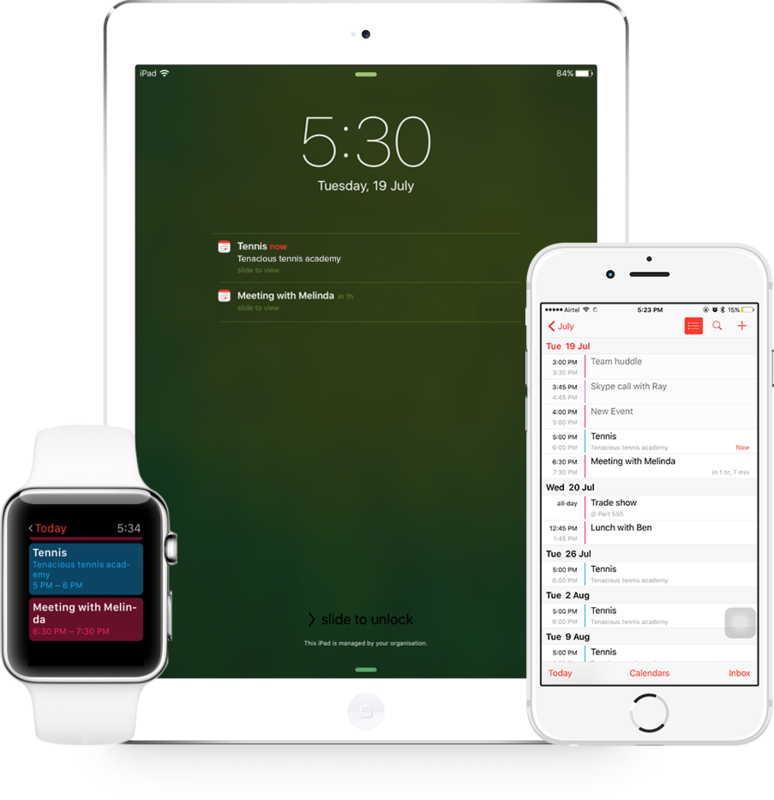 The sync between Zoho CRM and Apple Calendar helps you manage your schedule on your iPhone, iPad, or Apple Watch. Balance life and work by putting both in one calendar. Create and modify personal appointments and CRM events on your Apple Watch or iPhone, and they'll update in CRM automatically. Now you can easily see if you have an anniversary dinner or a doctor's appointment before promising your time to a prospect. 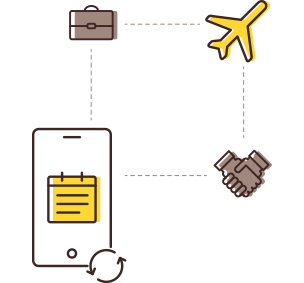 Traveling can often mean losing contact due to poor internet connections. Make changes to your Apple Calendar while you're offline, and you don't even have to log in to CRM to sync them. When you're back online, your changes automatically update across all your synced Apple devices.